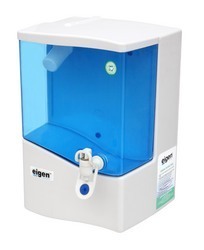 We are one of the leading manufacturers, suppliers and service providers of a wide range of water purifier, fittings and associated accessories. Our product range includes Domestic RO Water Purifiers, Commercial RO Water Purifiers, RO Cabinets and Industrial RO Water Purifiers. Along with this, we also offer Hot & Cold Water Dispensers with Inbuilt RO, Domestic Water Purifiers, RO Spare Parts & Accessories and Domestic RO Fittings. These are manufactured using high grade basic material such as ABS (Acrylonitrile Butadiene Styrene), PP, and various other components, which help in removing harmful elements from water such as bacteria, virus, fungi and other micro-organisms. Besides manufacturing, we also offer effective services to our clients for their convenience and thus maintain their trust. We offer installation, erection and maintenance services on our range of products.